Around 6 months ago, I was desperately looking for some online resources to help me implement some map reports. The shapefile I was dealing with was at a very granular level (which means that it had a lot of data, 2.5 MB in size), and we needed to do some custom aggregations on the spatial data. As the custom aggregations were done at report run time, it turned out to be a major performance bottleneck. 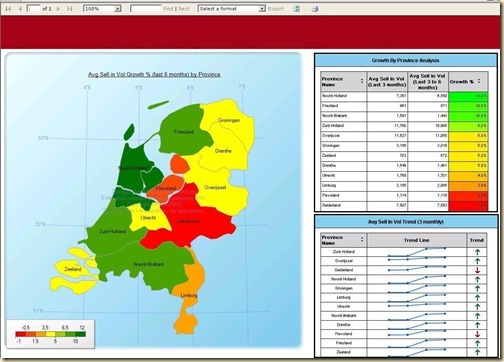 That was when this blog by Sean Boon – SQL Server 2008 R2 Map Tips: How To Import Shapefiles Into SQL Server and Aggregate Spatial Data, caught my eye and I got the idea of importing my shapefile into DB and then doing the custom aggregations there itself for solving my performance problems. Armed with the contents from this blog, I started developing my reporting solution but soon stumbled upon a major roadblock – I realized that the blog he had written was for aggregating shapefiles of Geography data type, while the shapefile I had with me was of Geometry data type (read here to find the difference between the two data types). After a couple of days of searching, I finally managed to find the solution and thought of blogging it down at least now. 1. Download the code from MSDN, or my copy. NOTE: You must do all these steps on a PC with SQL Server 2008 (Katmai) or above installed to get the Microsoft.SqlServer.Types.dll assembly. I copied this assembly into C:assemblies. Now you are all set to use this table as the source of your reports. “ UnionAggregate() combines multiple spatial objects into a single spatial object, removing interior boundaries, where applicable. Sean Boon's blog above describes an option where polygons can be aggregated in SSRS using the union function and data/ group by setting of the polygon. For some reason this approach does not work for me – are there situation where this appoach is not viable? Can you give more details on what you are doing? Because I am able to achieve the same on my reports. In SSRS I am doing a union on the geom.value and then in group on TerritoryName (from polygon menu in SSRS). Van you check section V of this post – http://www.sqljason.com/2013/09/how-to-make-map-reports-in-ssrs.html If you are still not able to get it, feel free to forward me the rdl at jason143@gmail.com and I can take a look at it! It worked like a charm this time! Apparently, it is critical to place the union statement in the correct place. Sean's blog directs the user to the Data Layer properties of the polygon, while the union statement should go in the vector data line, under Spatial Data in the Polygon Layer properties. Thank you, Jason, for looking into this puzzle! I know you wrote this a long time ago, but I have been looking for information on what data types are supported for the FPIS codes for the states and counties when using the map gallery. Do you have any information on this? Can you share other sources to get spatial map data?